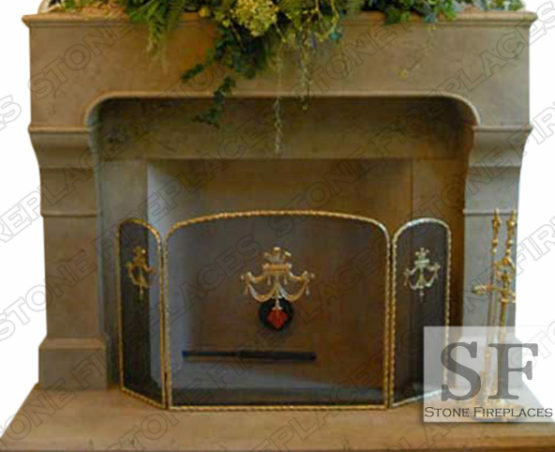 Chantel is another model that is inspired by decor and designs from France. 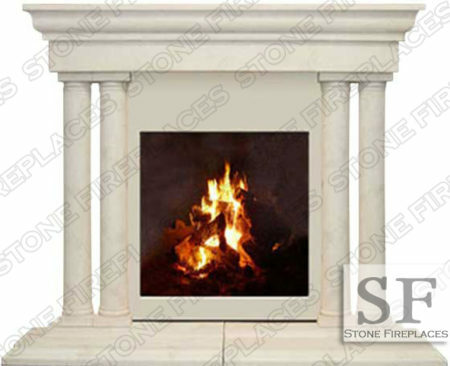 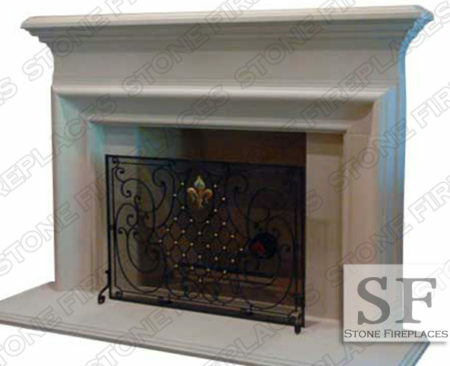 Chantel is different for some of the other French style fireplaces that we offer. 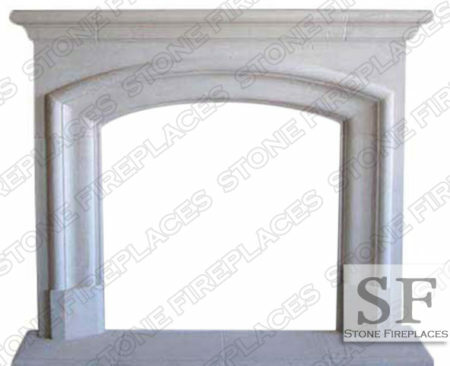 The curved corner straight arch is its defining feature. 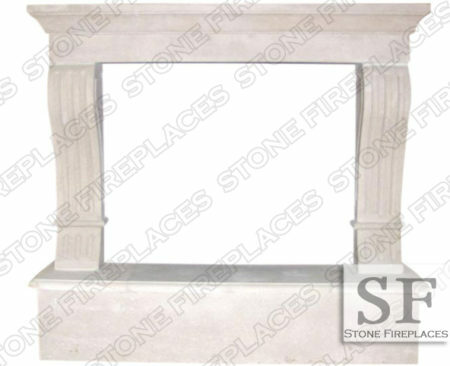 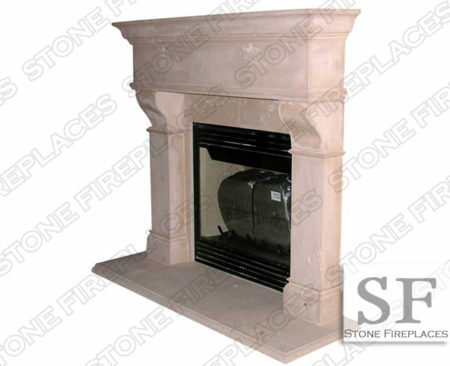 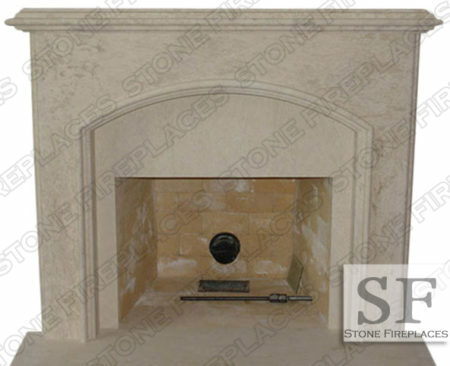 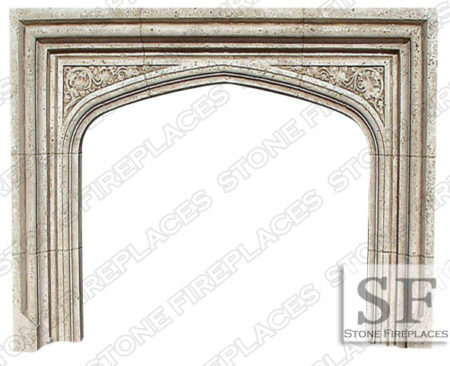 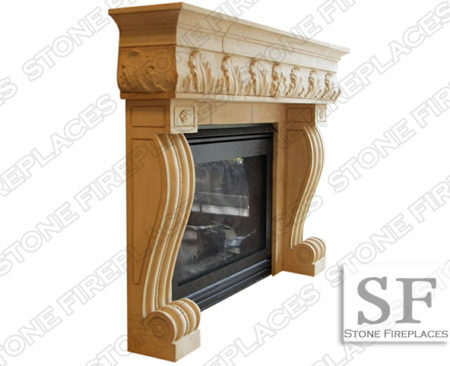 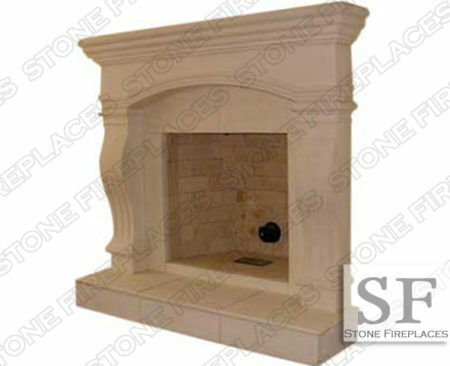 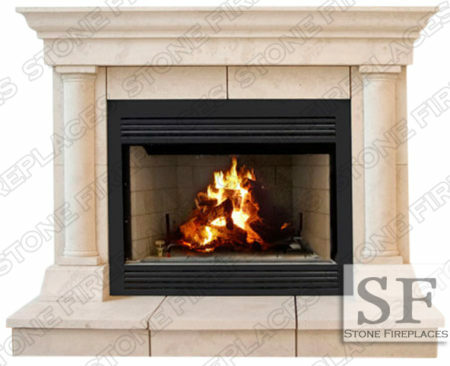 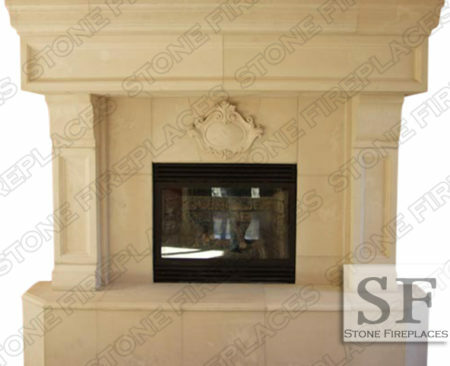 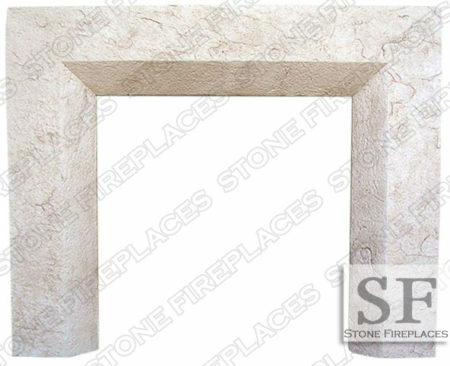 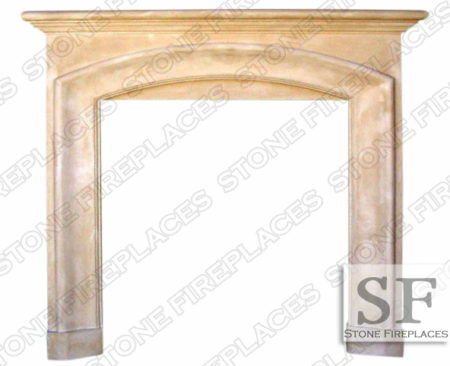 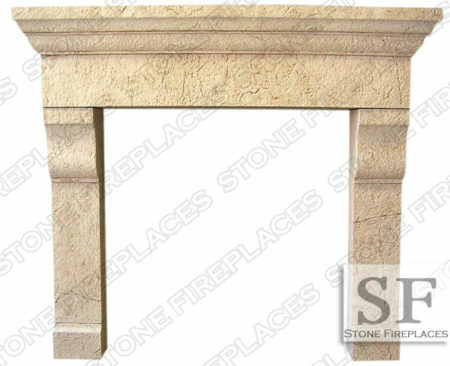 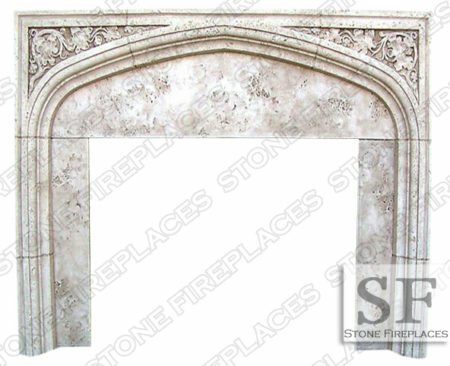 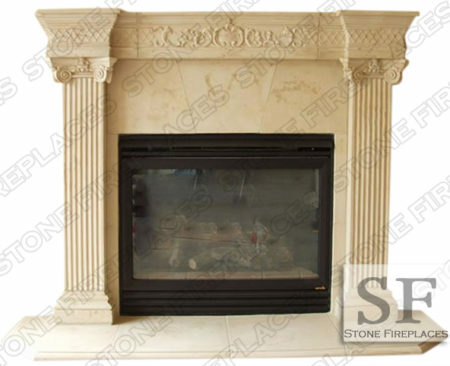 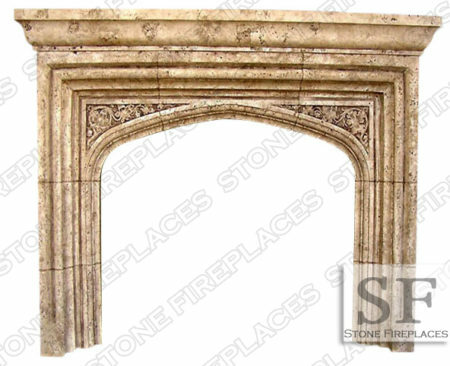 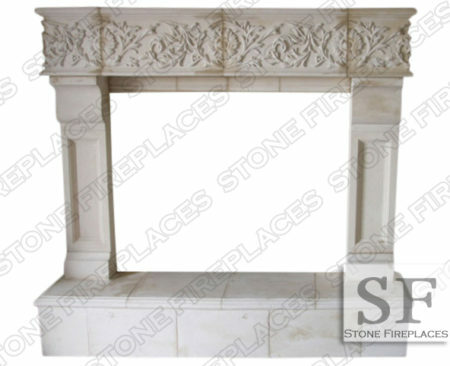 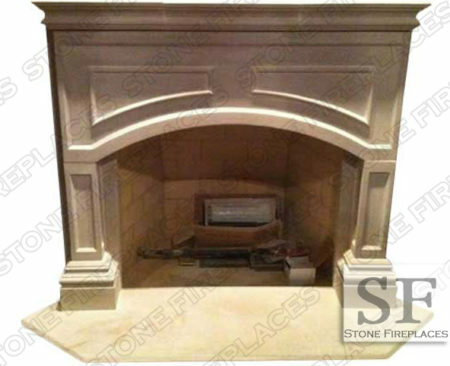 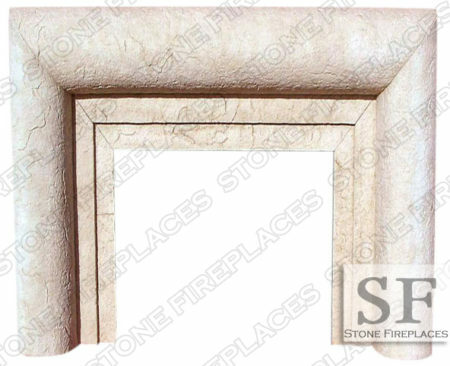 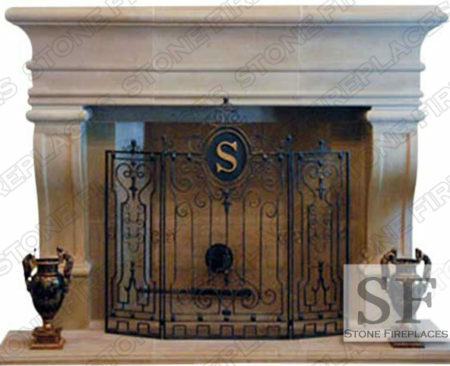 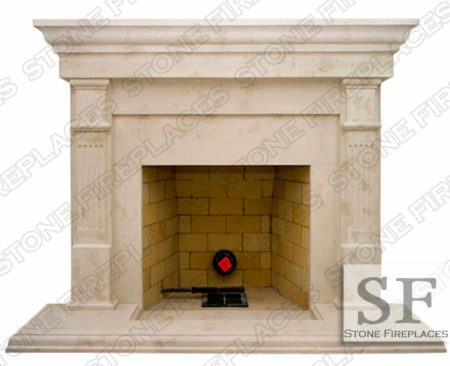 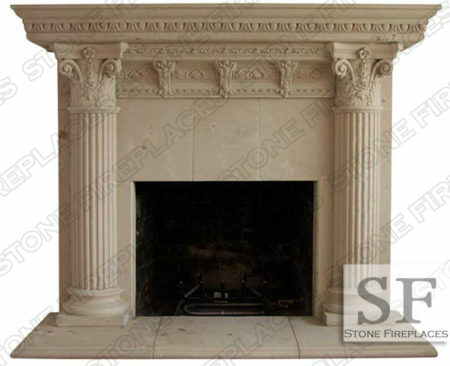 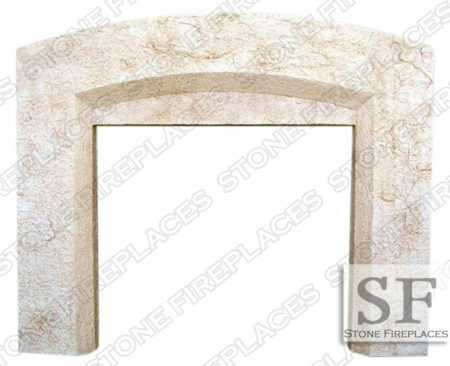 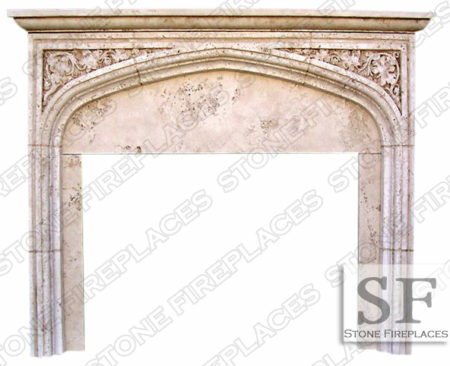 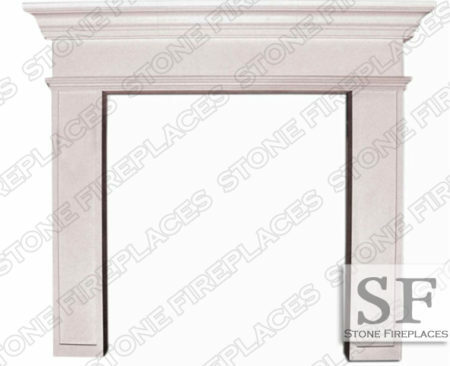 This French fireplace has a contemporary feel that looks great in marble and limestone. 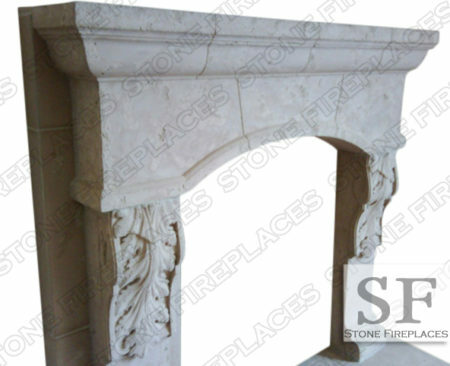 It is pictured and made from cast stone in this image. 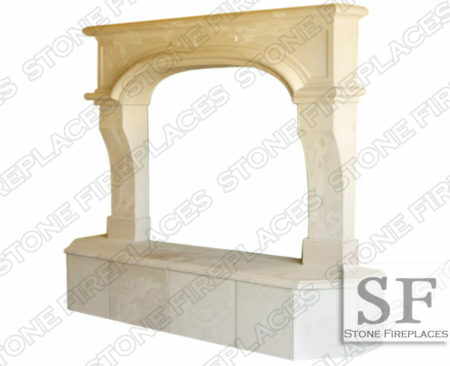 As mentioned before the cast stone have a very natural limestone or sandstone appeal. 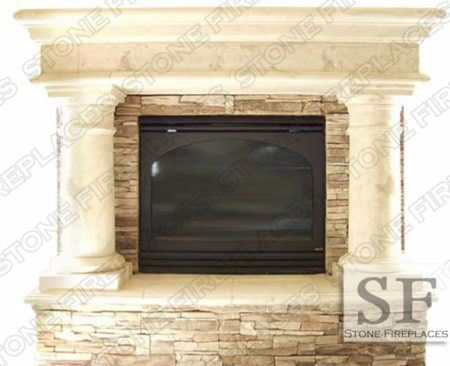 The inner panels fully wraps three sides of the brick firebox opening. 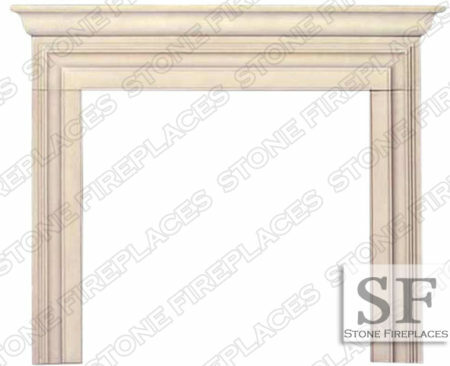 Typical Dimensions: 68″w x 52″h *order custom to your dimensions.